The Sweet la Rochère collection was inspired by pleated paper boxes to create the cherry-coloured ice cream bowls 8 oz / 25 cl suitable for the presentation of sweets, desserts and savoury appetizers. 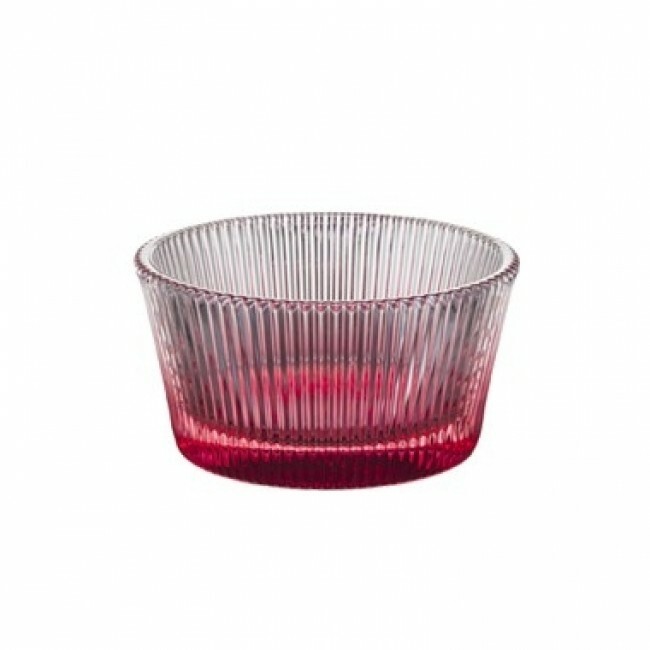 Modern and refined, this 25 cl Sweet cherry ice cream bowl will bring femininity to your table. For special occasions, do not hesitate to surprise your guests with a creative cuisine in these pretty Sweet La Rochère cherry verrines.